Last January I attended a small retreat with online entrepreneurs to Bali where we challenged ourselves to be closer to free. We shared what was holding each other back from being successful and articulated what our ultimate lifestyle would be. I had 4 glorious kid free days connecting with likeminded women and relaxing by the pool writing in my 2015 Create your Shining Year workbook. And now as the year has come to pass I reflect on what happened and didn’t. 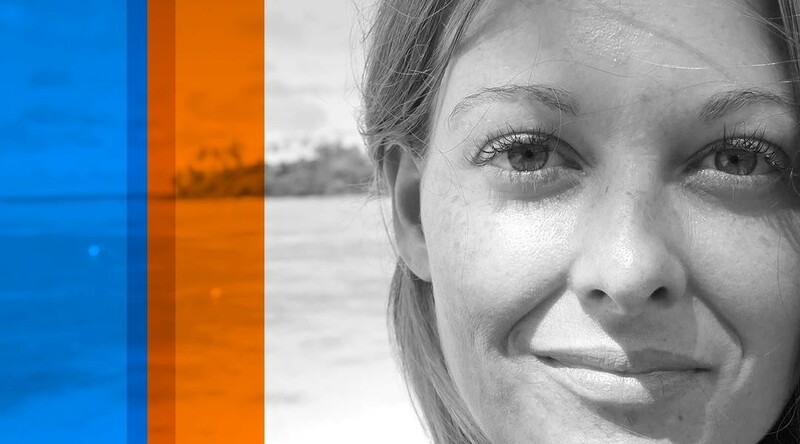 Things I definitely said I would do was get married in the Cook Islands, learn the piano, take kids camping and launch my first online product. Things that were not written into my plan were also to get a divorce in the same year! Does that mean I failed? Does that mean every goal and vision in my workbook was a furphy? Today I went back over my workbook that I had beautifully filled so many months ago and reflect that yes, this year had had some amazing highs but unfortunately some incredible lows. Yes, I connected with an amazing tribe of online business entrepreneurs and launched my first online product. I also got married but only to file for divorce months later. My beautiful twin girls blossomed into their first year of school and now the three of us are replanning 2016 as a new family unit and recreating our own vision boards. This time of year is also a time to reflect. I have been creating an online business for a few years and focusing on multiple streams of income to create a lifestyle I want. These multiple streams are 1:1 consulting, affiliate payments, real estate investments, e-Courses and information products. I am yet to reaching a 6-Figure goal but I am on the road to get there. The one big lesson for me this year has been that you should focus on just one project at a time and really only have 1-2 major focuses in your business as well as build a community of specialist outsource staff to leverage your time so you do not have to do everything. I thought I was doing this when I launched my first course this year but on reflection there were many tasks like affiliate management, copywriting and website design I should have let go much earlier so I too could spend that valuable time with my kids to complement the lifestyle I am creating. Did my launch cause my divorce? Haha no! But I will share my “Letter to my Daughters” – of what is important in love and life in the New Year. But tell me. What did you achieve this year? If you write down you goals at the start of the year, what feeling arise when you review them down the track? Do you feel confident and driven to complete them or content that you are doing something towards them every day? Or failure as things crop up and derail those perfectly filled plans. I want to let you know that is A OK for things to not work out exactly. It is OK to change your mind or postpone things. It is OK if things take longer or at first go the success you envisioned did not play out as you imagined. And this applied to your business too. The thing is it is OK to take your time. It is most certainly OK to make time for your business’ biggest asset – in case you haven’t guessed it that’s you! Your business plans should be flexible and evolve as you evolve. So as we move into 2016 I would love to invite you to check out STILL my absolute favorite way to do my business planning every year – using the Leonie Dawson Incredible Year Planners. 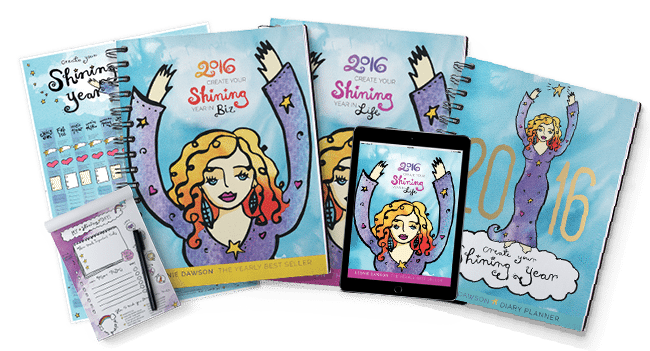 The 2016 Create Your Shining Year Biz & Life workbooks and brand spankin’ new weekly planner help you plan out & make happen your most incredible year in life or business (or both!). The books are available as a download or hardcopy but I recommend the hardcopy before they sell out. Used by entrepreneurs, artists, mamas, creatives, coaches, teachers and women of all ages, the Creating Your Shining Year workbooks + daily planner are filled with powerful worksheets to help you create your amazing new year. Trust me – a divorce certainly won’t stop me starting 2016 again with a fresh new list of goals and dreams to pursue. So now I’ll just leave you with the question – are you building the business of your dreams or someone else’s? P.S. Send me an email to say you got yours and we can keep each other accountable during 2016. Have you ever heard of the Oprah Effect? The Oprah effect is an expression referring to the effect that an appearance on The Oprah Winfrey Show, or an endorsement by Oprah Winfrey, can have on a business. Because the show reaches millions of viewers each week, a recommendation from Oprah can have a significant and often unexpected influence for a new or struggling business. So how would you like to be your own Oprah with your own TV Show that can reach hundreds of thousands of viewers and create your own Oprah effect? Introducing the official Online TV Pro! I attended one of Jody Jelas’s masterminds in Bali earlier this year where she showed me her set up (using basic tools that I already had), gave me some checklists so I stopped doing stupid things like record five videos in a row with no sound (!) and gave me the confidence to just get started. And since then I’ve launched my own course using all her training while making a part-time second income using video marketing. This 6 week training will have you create your own online TV show, build a celebrity-like following and monetize your passion! BUT… only for the next 6 days, then it’s coming off the shelf. There’s something cool and FREE that I wanted to add though…. For all my followers who purchase Online TV Pro today I have an extra bonus coming your way. A huge part of your Online TV show is mastering the latest in live video streaming – Periscope! The first 50 people to Buy ONLINE TV PRO will get my bonus. I’m hosting a private Periscope broadcast, limited to 50people, with private training. Click to quality to be part of my private coaching. I look forward to doing a private broadcast with you! Today’s podcasts are another brilliant way to share information and training online. As podcast listenership grows, so does the content so this inspired me to check out what Pinterest Podcasts there are for people like myself learning as fast as I can how to leverage Pinterest for business. From a quick search for Pinterest specific Podcasts there were only 3 that really focused just on Pinterest Marketing whereas other popular Podcasts were an accumulation of broader topics of Social Media Marketing, Blogging, Entrepreneurship and Internet Marketing. In these other podcasts, Pinterest topics were certainly discussed at time to time but there were only 3 Pinterest Podcasts that continued to track and explore strategies to leverage your business with Pinterest. Here’s a look at the Top Pinterest Podcasts on iTunes today. Ok it was the beard that caught my eye lol maybe because my fiancée at the time had a wicked beard too. 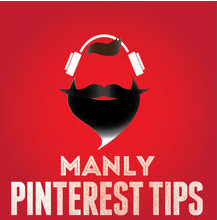 No but all serious, I love Jeff’s podcasts on the best practises and strategies for Pinterest. Delivered weekly, the shows are always super informative, entertaining and I am always scrambling in my car (where I mostly listen to podcasts) for a pen to write down recommended tips and resources. Jeff Sieh launched his podcast with a twist on even Men can succeed on Pinterest adding testosterone to a predominantly female target market. 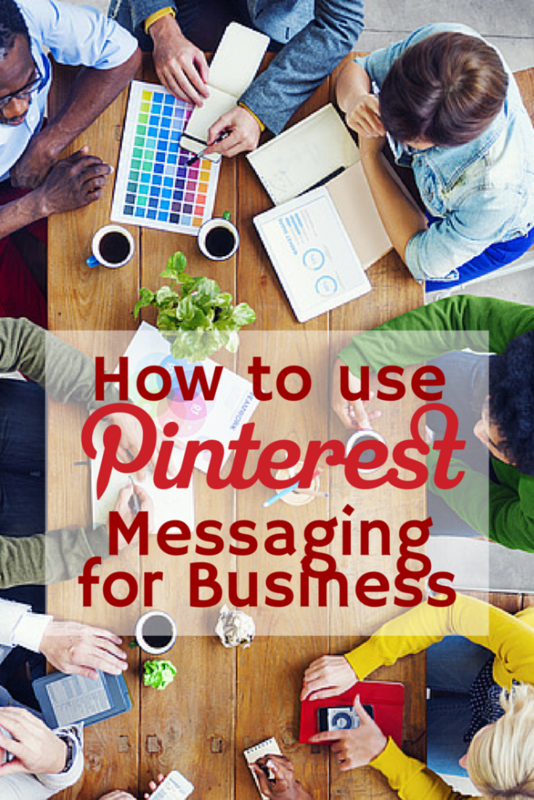 Subscribe to the Many Pinterest Tips. 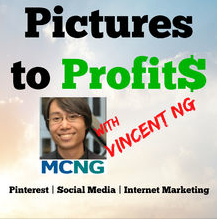 When I first got interested in Pinterest is was Vincent’s easy to follow and get up to speed with Pinterest Podcasts that I subscribed too. 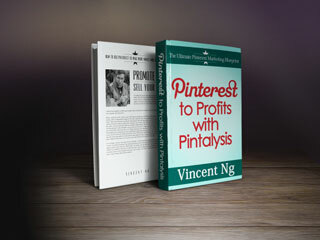 Vincent also interviews small business owners, marketers and experts on using Pinterst. This podcast also explores how you can leverage pictures on social media networks like Instagram, Facebook and twitter to enhance your business goals. Check out his list of expert guests on his podcasts here. 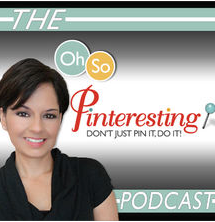 A recognised Pinterest expert, Cynthia Sanchez has been podcasting about Pinterest since 2013. To date she has over 91 podcasts which are filled with actionable tips and strategies and provides updates on new strategies to apply today in Pinterest marketing. In particular I always like to hear about real world case studies of real businesses. Cynthia also interviews business owners and social media and marketing pros about how they use Pinterest to grow their business. Subscribe to Oh so Pinteresting on itunes here. 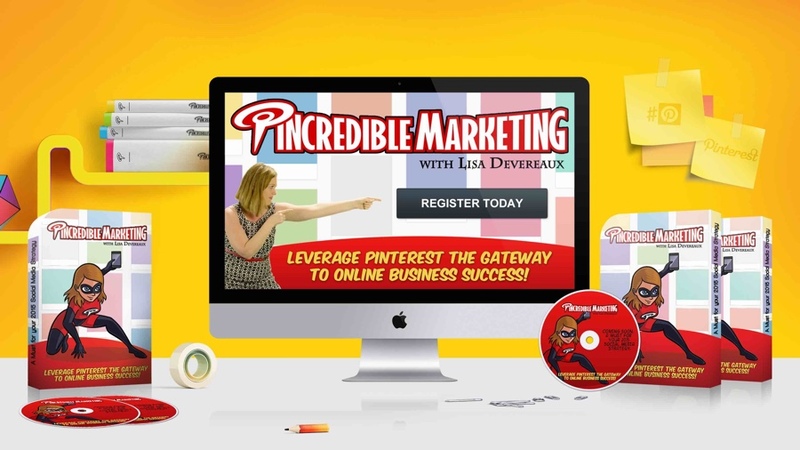 The Ultimate Pinterest Training Course Online! 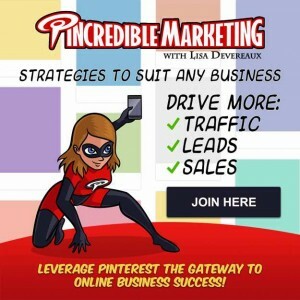 With Pincredible Marketing you will become a master at using Pinterest to drive more traffic, leads and sales to any business that you want to! Easy to follow Video Module Training for all levels. Expert Interview with Pinterest Experts. Custom tools to manage your pins faster with a few secret ninja tricks. Register your interest Here for more information. 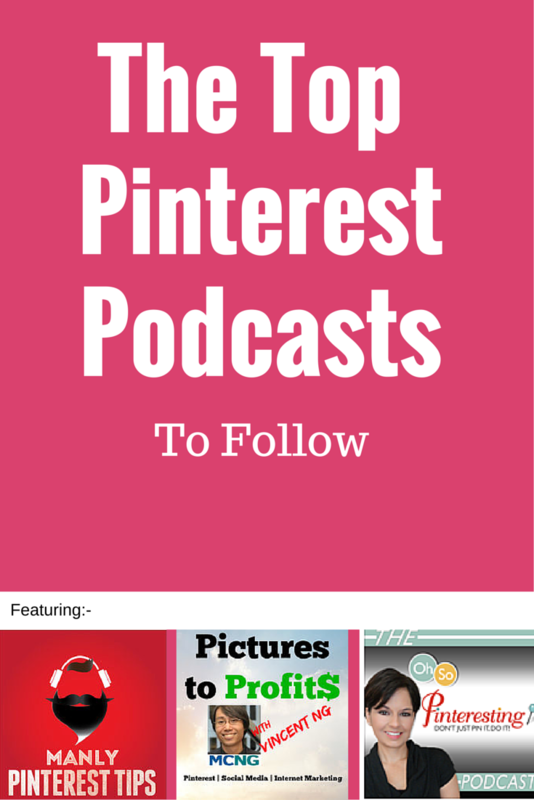 If you liked these Top Pinterest Podcasts to Follow don’t forget to Pin my Pin below to share with your friends who are also keen to learn more about how Pinterest can boost their brand or business online. Texts, e-mails, WhatsApp, Facebook, Twitter – there seems to be a whole plethora of platforms to get in touch with people nowadays, which leaves us with a question, “Why should we really care about the Pinterest Messaging for business System and what added advantage would it bring to my business?” If you are just another curious pinner mulling over the effectiveness of the newest addition to the ‘messenger’ list, read on to find out all about Pinterest Messaging and its usefulness for your business. In an attempt to make the pinning experience more personal, Pinterest introduced its messaging system as a private forum that enables users to send private messages to their Pinterest followers as well as their patrons on Facebook and Twitter who have synced their accounts to their Pinterest page. What really sets the system apart from Facebook Messenger or Twitter’s direct messaging system is that Pinterest Messaging is more focused on engaging in conversations in a visual manner within Pinterest. This is particularly helpful in simplifying complex projects that are too hard to explain through words, as well as saving users the hassle of sending picture attachments back and forth. (Imagine explaining a hairdo tutorial in words!) Be it text, links, pins or entire boards, Pinterest users can share as much content as they want without losing track of the conversation or compromising their privacy. In addition to being completely private, the Pinterest messaging system allows up to ten Pinterest users to engage in a visual group conversation at one time. This exceptional feature is particularly beneficial for team projects that involve a lot of visual co-ordination, for example, organizing a friend’s surprise bridal shower or planning a college concert. Let us walk you through some simple ways in which your brand can benefit from the Pinterest messaging system. Imagine yourself as an event florist working with a top-notch wedding planner to decorate a reception. Instead of having to send them pins one by one, you can send them a first glance of your newest flower collection, your portfolio images from previous events, or simply some content repinned from other boards privately in one go! Your brand page will generate a buzz and attain a free-rider promotional advantage if a high-end client or VIP customer repins your image on their board. A little heads-up: Pinterest only allows you to send or drag a pin into the messaging system if it is available to the public. So if you experience any glitches, it maybe because of the pin belongs to a secret board. A major problem encountered by those who love to comment on Pinterest is that their comments are barely noticed if the pinner uses Pinterest on a smartphone. This is because a comment notification appears the same as that of a repin or ‘like’, and it is only on desktops or iPads that notifications display a preview of the comment. It’s in circumstances like these that Pinterest messaging system comes to the rescue! The interactive platform allows you to start a back and forth conversation with your potential customers, and enables you to build better relationships with your brand page followers and especially Pinterest influencers who follow your business account. Drag a pertinent pin into the conversation, appreciate a particular pin that a follower posted months ago, or invite them to join a group board, the possibilities are really endless! Before Pinterest introduced its messaging system, it was a hassle to invite other users to contribute to group boards as there was no way to directly explain them the purpose of the board or what makes you think they’ll make a good contributor. In all honesty, it used to be a really awkward situation to have a group invite at the top of your feed without any proper proposal. Now, with the advent of Pinterest’s messaging system, you can message and invite pertinent pinners to join a group board by explaining to them how your pins revolve around a mutual theme, or how your product complements theirs. Who knows your hospitality may even translate into a lucrative partnership in the future? Admit it, we all love brands that appreciate our loyalty towards them and reward us for being their unofficial brand ambassadors. What Pinterest messaging does best is that it gets you talking with your most engaged followers. After all, what could be more special for a follower who has been re-pinning a lot of your content and driving traffic to your retail site than receiving a thumbs up from the brand, or ideally, a gift voucher? The word-of-mouth marketing that such tokens of appreciation can generate can be phenomenal for your business. Voila, you just added a number to your conversion figures! Getting in touch with your Pinterest followers through individual e-mails may prove to be a tall order, but the new Pinterest messaging system enables you to send private messages to your followers and receive feedback on your boards and pinned content. Pinterest messaging allows pinners to send questionnaires and surveys to other users on the Pinterest platform who are specifically following their boards. The feedback particularly enables business account holders to measure their target market’s interaction with their brand page, determine their most popular content and decipher followers that can potentially convert into customers. A few years ago when I first heard of the internet marketing strategy of retargeting it was limited to the top end of town for blogs with massive traffic that could afford the services of expensive software that could track when a visitor left your website by following them around the internet with advertisements encouraging them to click back to the website again. Accordingly to industry estimates reporting that less than 2% of web traffic make a purchase, complete a form or sign up for a product or service when on your site; which means that you are losing 98% of traffic. With retargeting, you can display ads to the 98% who bounce and keep your brand in front of them until they’re ready to convert. Facebook retargeting is now easy to apply and a fraction of the price of the larger software solutions. 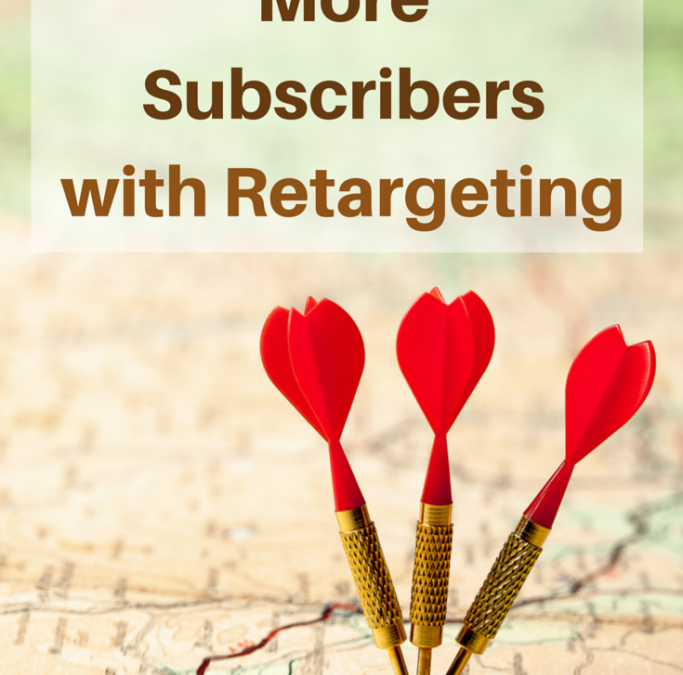 So here are the steps to generate more subscribers with Facebook Retargeting. 1. You need to go to your Facebook Ads and create a retargeting pixel in the custom audience settings. 2. Copy that pixel into the Header part of your blog/or email optin page/ Thank you page or anywhere you want to track visitors. 3. Create advertisements and sponsored posts that target this traffic specifically to encourage them to get to know you and come back to your blog, product, service or offer. A benefit of a huge retargeting list is your audience will begin to like, know you and trust you as you are consistently in front of them. 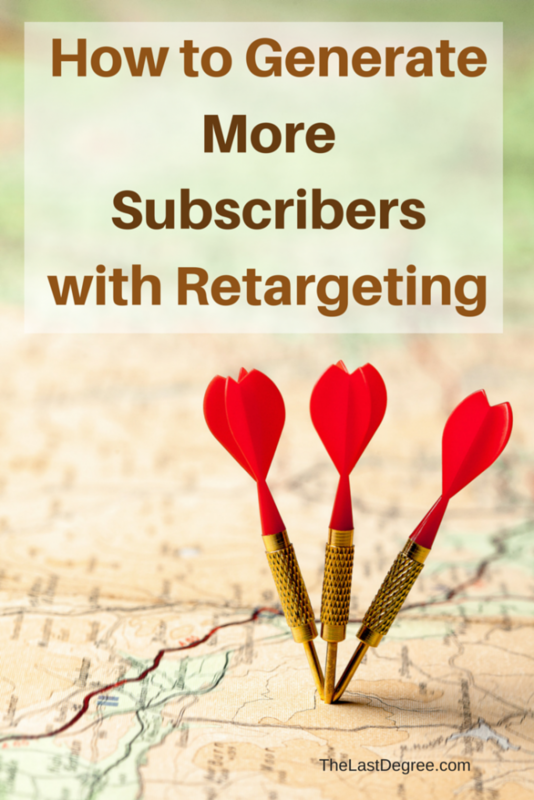 There are many different variations to this strategy for retargeting your target audience. In this FREE video you will see how Chris Record built a 100,000 person retargeting list on Facebook™ that is responsible for generating hundreds of thousands of dollars in revenue in the past few months alone! Whether you are a beginner, intermediate, or advanced with FB™ ads you will still get huge value from this video. You will get some insights as to how the pros are using retargeting to DOMINATE their competition in 2015. Click here to learn how to generate not just one-off visitors but long-term, raving fans. With an ever-growing fan following, Pinterest is no longer a network solely for Thanksgi ving recipes, craft pictures and makeup tutorials. The rocketing popularity of this social media power house has gained it a sprawling reputation of being a lead generation machine and an important conversion tool in the eyes of marketing gurus. 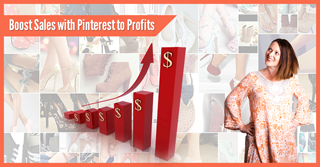 If you have a business or a blog there are some basic steps that can be instrumental in paving up your lead generation endeavours on Pinterest and convert your Pinterest followers into potential customers for your business. 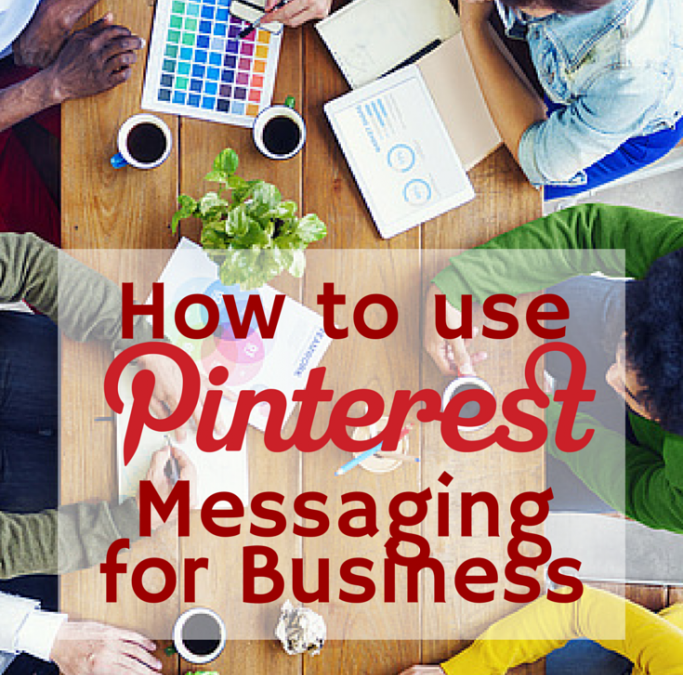 Pinterest is all about images, so use it effectively to lead prospects to your words. If your business website maintains a blog, develop a habit of pinning each of your blog’s main images to your brand network on Pinterest and link them back to the corresponding blog post in addition to including CTAs and links to landing pages to detain lead data. You can further increase your leads by creating premium offer on your landing page, offering a free video tutorial on a business-related topic or advertising a free eBook in return for their contact information. Put your creativity to test, and convert boring company data or text-based promotional content into attractive info-graphics. Pinterest followers love tall images with concise content and vibrant colours. By assimilating a lot of information in an appealing manner, Info-graphics can really become an effective player on your lead generation team. Go to fiverr.com to hire someone to design your info-graphic or try yourself at canva.com. Have you explored the power of Pinterest to breed more e-mail sign ups? Well, here’s how to. Simply pin the clip of a contact capture form to one of your brand boards, and instruct the audience to fill it out and register with your website to win a free trial (or a discount voucher) of your product/service. By linking the image to your full website, or landing page, you will be able to generate more leads and acquire new contacts to expand your digital marketing campaigns. While re-pinning is not always the most idyllic way to generate leads, creating unique content for your brand page every time you sit to pin is also a tall order. Make use of front covers form your company’s eBooks, brochures, published blogs or whitepapers and pin them to your Pinterest network. However, make sure the pins include links to the corresponding document, and include CTAs as well as backlinks to the landing page. We all love the DIY Hacks and Top Tips on Pinterest, so why not use them to our advantage? As a B2B company, you can create boards that provide checklists, free templates, and DIY instructions to incentivize your target audience to follow your boards. Like Google+, Twitter and Instagram, Pinterest also supports hashtags to establish trends and make the pinned content search-friendly. If you aim to generate leads for a new business campaign or a recently launched product or service, start by creating an exclusive board around it, and tag your pins with the same hashtags as the ones you’re using on other social media websites for a synched promotion. While a picture is worth a thousand words, never underestimate the power of motion, music and human voice in engaging your audience. Many new pinners are not aware of the fact that they can actually pin videos and create a video gallery on Pinterest. Well, if you are one such novice, then make sure you use this revelation to the best of your business interests! Start pinning your brand-centric or promotional videos to your Pinterest brand page, but remember to add links to your full website and appealing call-to-actions to direct your prospects down the sales funnel. Your social media marketing efforts may go in vain if you don’t track your progress. If you are using Pinterest’s business account, the dashboard provides a very useful analytics tool to measure your lead generation performance and the impact of your pinning activities in driving web traffic. Evaluate the kind of images that are working, establish success and failure patterns and devise a future pinning strategy accordingly. A different approach to track the number of leads is to use a ‘bit.ly’ link in the description box that tracks the volume of people who actually click and follow the pin description. Click the banner below and grab my FREE Toolkit Top Pinterest users use. Customers love freebies, exclusive coupon codes and limited offers, so make the most of these to promote your company’s whitepapers (or even e-books and brochures) and generate more leads. You can do this by pinning info-graphics, visual data, charts and images from such promotional documents, and linking them to the contact form on your landing page. Once a prospect submits a filled form, you can send them a time-constrained code or a limited offer to ensure quick conversion. Your happy campers can be your biggest marketing asset to inspire prospects! Pin photos of satisfied customers and link them back to customer reviews and case studies on your company’s website. However, it is vital that to seek permission from your respective clients to avoid any trouble! While the above-mentioned tactics focus on strategies and game plans that augment lead generation, here are a few quick tips on enhancing the quality of your pinned content and in turn boost the traffic on your boards, and ultimately your business website. Evaluate the effectiveness of your old pins and create new ones to replace the older pins. For example, you may earn more traffic as spring approaches by replacing your Christmas recipes with ones aimed at Easters. Make your pins appealing to different age groups, genders, classes and ethnicities. It is imperative that you use high resolution pictures on your boards with vivid colours, and attractive outlook. Use descriptive captions that describe your pins and make them easy to locate. Follow popular boards and take inspiration from their pins to create your own. This would help you determine what resonates within your target audience and plan your pins accordingly. For more in-depth strategies for Pinterest in Lead Generation I recommend you download the eBook Pinterest to Profits. 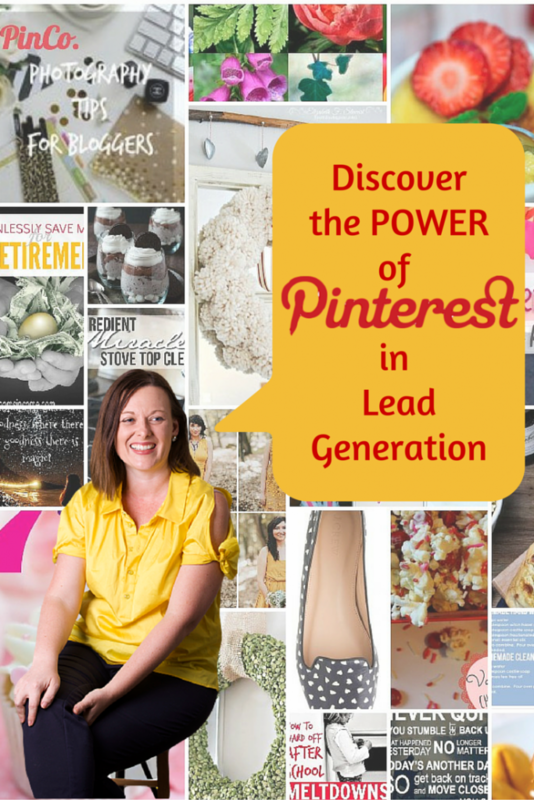 What strategies have worked for you in lead generation using the Pinterest platform?